This class explores all venues of ‘alternative’ jewelry making materials. We'll create many different pieces based in wire, rings, or polymer. No previous experience needed for this class. Students will be guided through the steps of each project, generally speaking, if kept on task, all students should be able to finish MOST projects in class. I will demonstrate the technique of the day and provide patterns as well as allow the students to experiment until they become comfortable with the techniques we will cover. This hands on approach can provide insight into the traditions and art of different cultures. Although our focus will be on wire and chainmaille, there will be other chances to try new materials outside of metals. 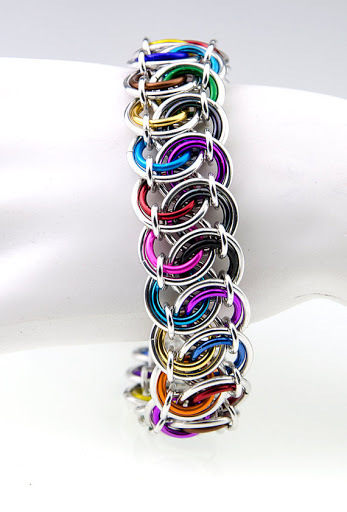 Provided materials include: All patterns, beads, wire, rings, bead mat, incidentals or specialty clasps will be provided. A small pencil box or rubbermaid container to hold the packaged rings, wire, findings, etc. they will be taking home - as well as any finished or unfinished projects. Any findings needed for the day, and any applicable tools. 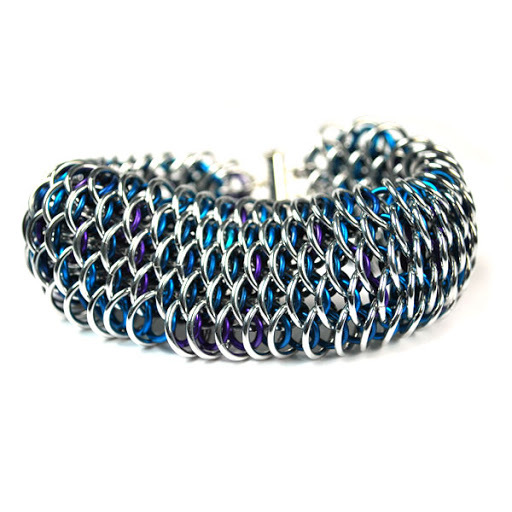 This class explores various chain maille patterns used throughout history and those developed in more modern times. No previous experience needed for this class. Students will be guided through the steps of each project, generally speaking, if kept on task, all students should be able to finish MOST projects in class. I will demonstrate the technique of the day and provide patterns as well as allow the students to experiment until they become comfortable with the techniques we will cover. This hands on approach can provide insight into the traditions and art of different cultures. 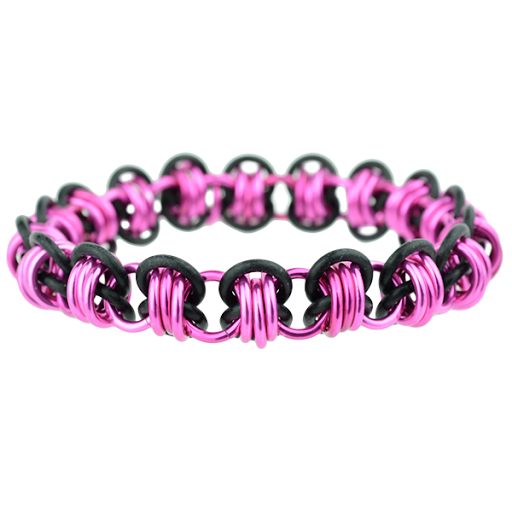 Provided materials include: All patterns, beads, rings, bead mat, incidentals or specialty clasps will be provided. REQUIRED - please buy 2 pairs of chain nosed or flat nosed pliers for your student as they are necessary for chainmaille.